The thing is with bloggers (me included), we love a good bandwagon. Whether that's going wild over a new product, or backing a cause, or spreading an idea like wildfire. Once you see one blogger doing it, you start to see it everywhere. And don't get me wrong, that's absolutely okay. We're a community after all, we share a passion and a lot of us share interests, that's bound to happen, and that's why we have as much influence as we do. One thing that has been troubling me a little though, is the statements similar to the ones that I started this post with, which I have seen all over the blogosphere over the last couple of months, promoting the idea that the numbers are irrelevant, or less important anyway. Yes, in theory, this notion is brilliant. 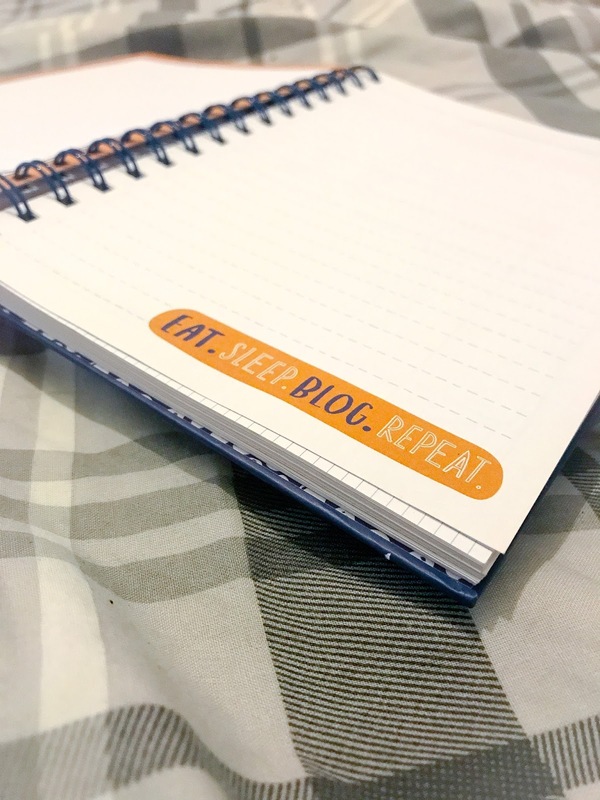 Yes, blogging is a passion, and at the heart of it should be just that, not how many page views you bring in on a daily basis, or how many followers you have on Instagram. And of course there is more to your success as a blogger than the numbers. It's about your grit, your determination, your voice, your vulnerabilities, and so much more. But you know what? I kinda do care about the numbers too. I completely agree that you are no less a blogger by having 100 followers as opposed to 10k. By getting 20 views a day, it doesn't mean you work any less hard than a blogger pulling in 100 or 1000 views a day. Your worth isn't defined by the numbers, but my point is that I've seen too many statements which try to tell you that by caring about the numbers, you're in it for the wrong reasons, or your priorities as a blogger are skewed. I've seen a lot of people bloggers to artists. If you're an artist, surely you don't just say 'I create for me and for me only. I don't care if no one pays attention to my work.' Or if you're a journalist, you don't say 'I'm not bothered if no one reads my articles or buys my newspaper.' Of course you're bothered! As bloggers, why else would we join Instagram pods, or comment pods, or showcase all of our latest posts on our social media?! Because we want people to view it, engage with it and enjoy it. Whether you're writing about beauty, or about your life, or about an issue you feel fiercely passionate about, we want to be able to see that our content is being enjoyed and not idly sitting in a little corner of the internet. And how do we see that? Numbers. However, and I cannot stress this enough, I completely agree that getting obsessed with the numbers is dangerous. All I'm trying to say is, it's also dangerous to try to imply that you're not allowed to care in order to be deemed a genuine blogger. It's okay to admit that you check your blog views multiple times a day. It's okay to celebrate when you hit a follower milestone. It's okay to wonder why your social media followers are stagnating. And it's absolutely okay to feel a little disheartened when a post that you spent hours crafting isn't getting the kind of attention you'd hoped for. Because we work damn hard on our blogs, and it's okay to want to showcase our work as much as we want to. It's okay to kinda care about the numbers. I do too. Well done for righting the www again! I’m totally with you on this post. TOTALLY. Personally I think that’s one of the most annoying statements a blogger can make because they don’t speak for everyone. I don’t think there’s anything wrong with caring about numbers, I LOVE seeing the growth in my channels. It keeps me motivated. I work with brands as well and the higher my numbers, the more work I get. I write an awful lot of posts just for me, just because it’s a topic I wanna talk about but I also work with brands as well where things like that do matter. Brilliant post! This is such a good post angel, numbers are important, however they shouldn't define you as a blogger or as a person! I completely agree with what you’ve said. As long as you don’t obsess over your numbers, it’s okay to care about them! I completely agree with you. Whilst, it isn't healthy to be obsessed with the numbers, I don't think you should feel ashamed to be concerned or intrigued by them! I love this post, it's saying what I've wanted to say for a while. I really don't think there's any blogger in the land that doesn't care about the numbers - it shows that you're passionate about your work and want people to relate to/read more of what you're writing about.